In the recent years, Wuu has won numerous state, national and international competitions and performed across the globe. 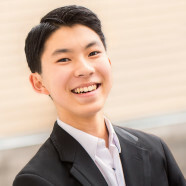 In addition to his success at Hilton Head, in 2015, Wuu won Second Prize and special Schubert Prize in the International e-Piano Junior Competition, Third Prize and special Mozart Prize in the Cleveland International Piano Competition for the Young Artists, Second Prize and the Best Performance award of a composition by Russian Composers in the Bösendorfer and Yamaha USASU International Piano Competition. Wuu has been named the 2016-2021 MTAC Young Artist Guild (YAG) member, the highest honor awarded to California music students. Wuu was also the winner of 2017 National YoungArts Competition. Wuu has performed in major venues in the U.S., France, Italy, Germany, United Kingdom, Poland, Romania and China. In NYC, Wuu performed at the United Nations Headquarters in the presence of Secretary-General Ban Ki-moon, at the WQXR Greene Space, and at Carnegie Hall for the Grammy’s Salute to Classical Music concert. His performances was aired on WQXR. Wuu was also featured in the NPR’s From the Top program broadcasted nationwide. Other notable venues include Holywell Music Room where Haydn performed before, Fondation Louis Vuitton in Paris, and the Ravinia Festival. After making his debut at age 16 with the Hilton Head Symphony Orchestra performing Rachmaninoff’s Rhapsody on a Theme of Paganini, Wuu has appeared with the Columbus Indiana Philharmonic, Terre Haute Symphony Orchestra, Symphony Parnassus, and Arad State Philharmonic in Romania, among many others. In addition to performing, Wuu has been inspired by many great international musicians and artists. Wuu has worked with such artists as Dame Fanny Waterman, Leon Fleisher, Gary Graffman, and Ruth Slenczynska in masterclasses. Born in September 1999 in Fremont, CA, Wuu began piano studies at the age of six. Throughout high school years, Wuu was a music scholarship student at the San Francisco Conservatory Pre-College, studying piano with Yoshikazu Nagai, as well as at the Valley Christian High School Conservatory of the Arts. His previous teachers include Jed Galant and Rose Chen. Wuu is currently studying piano performance at The Juilliard School, under the tutelage of Robert McDonald.